Home / Editorial / Donate And Help 'Friday The 13th: The Game' Become A Fan's Reality! Donate And Help 'Friday The 13th: The Game' Become A Fan's Reality! 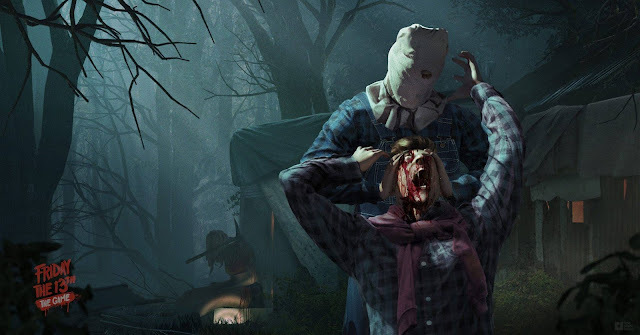 When it was announced last month that Gun Media received the license to make a full fledged video game based on the Friday The 13th films, everyone in the horror and gaming community became very excited at the prospect of the 1 vs 7 scenario that puts counselors against Jason Voorhees. The kickstarter campaign was launched on October 13th with a goal of raising $700,000 in order to make this THE definitive Friday The 13th game. Since the launch of the kickstarter, the Gun Media and Illfonic team have been very interactive with the fans and Friday The 13th community displaying numerous examples of concept art, providing a launch trailer showing off what the game will look like, and also posting a plethora of videos that include Tom Savini, Kane Hodder, Sean Cunningham, and Harry Manfredini discussing their involvement in what the fans can expect to see in this ambitious project. With nine days left in the kickstarter, the development team still needs roughly $95,000 to help create this dream come true. It's pretty apparent that I am a life long fan, as I have been running this site for almost five years and one of the questions the site gets asked the most is, "when are we going to get a proper Friday the 13th game?". Well, the opportunity is here and now. I know that so many of our readers here on the website have donated not once, but even twice to the cause as we all want to see this game come to a full realization. Now, I don't want to preach to our readers and the fans to donate more than once, but I am reaching out to those who haven't donated and have been hesitant because certain features may not be available yet. The way I look at it is, lets help get the game made first, and then features can definitely be added down the road. I believe that right now most of the Friday The 13th community has donated, so we need to reach outside of our fans to get the help of other horror aficionados and gamers alike to help Gun Media cross the finish line! Remember, if the $700,000 isn't met by Friday November 13th, Gun Media doesn't see a dime of the $605,000 already pledged. They lose all of the resources that could have been attained to truly make the definitive Friday The 13th video game. I have never asked anyone on this site for a thing, ever, but now I implore our readers and the Friday the 13th community to share this with anyone you know who enjoys horror films, video games, or heck, entertainment in general. Lets get this project funded, please, from a life long fan of the franchise. I am such a fan of the franchise that I love Jason Goes To Hell. C'mon, that's saying something! Visit their Kickstarter to donate, check out the new Friday The 13th: The Game website and watch the announcement trailer below. Thank you to everyone who supports and visits this website and to everyone that has pitched in to help make Friday The 13th: The Game a reality!